Maryam Montague is an American designer, hotelier and humanitarian, as well as founder of the #tribalchic lifestyle brand, M.Montague. She lives in Marrakech at Peacock Pavilions with her architect husband and 2 children. 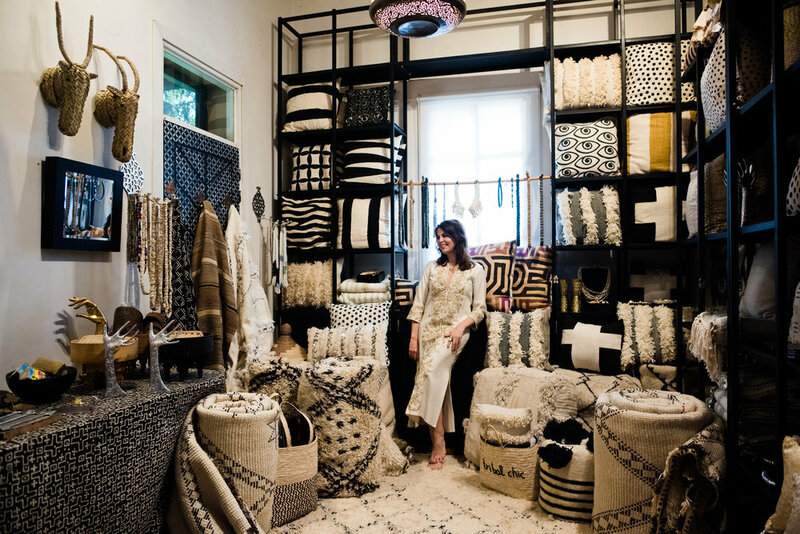 In addition to acting as Peacock Pavilions' creative director, she is also the curator and designer for the M.Montague Souk,her online and brick and mortar shop of tribal-inspired and Moroccan home décor. Her book, Marrakesh by Design was released by publishers in the US, UK and Australia, and was named a Best Book of the Year by the editors at Amazon and featured in over 100 media outlets. Maryam has been living in Marrakech for years and knows all the secret shops destined to wow both design enthusiasts and curious shoppers alike. Now you can get her help in designing and executing the perfect Marrakech shopping experience. Not interested in shopping but still want to know more about Moroccan design? Maryam also does design talks and book signings for groups.